Vendula London’s new Tiki Bar is now open for business! 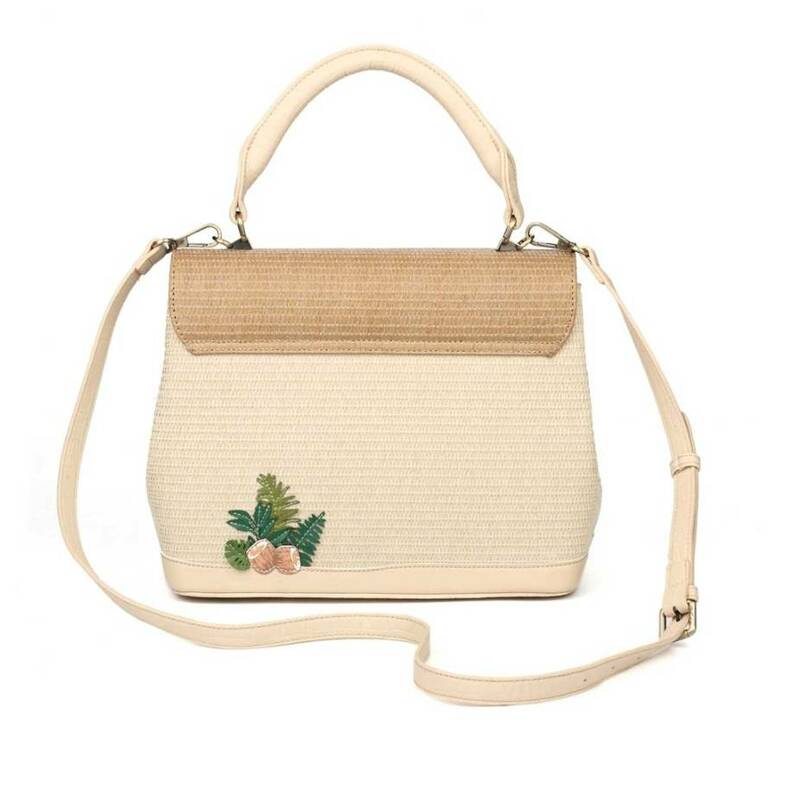 This vintage Hawaiian themed 1950s style Tiki Bar Grace Bag has everything you need to keep you in the holiday mood this summer. 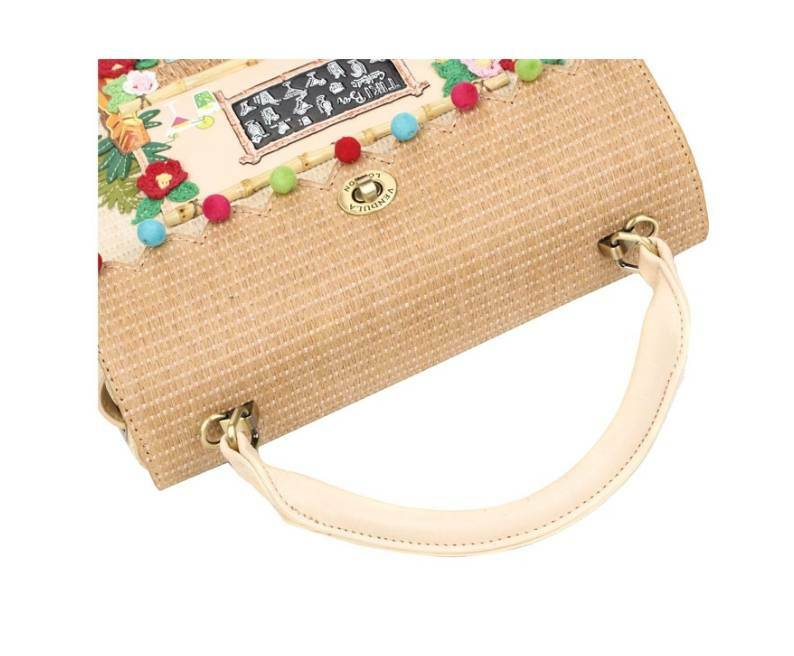 The Vendula London Tiki Bar Grace Bag comes in PU Leather with a straw roof and an easy care textured paper body that can be dried with a hair dryer! 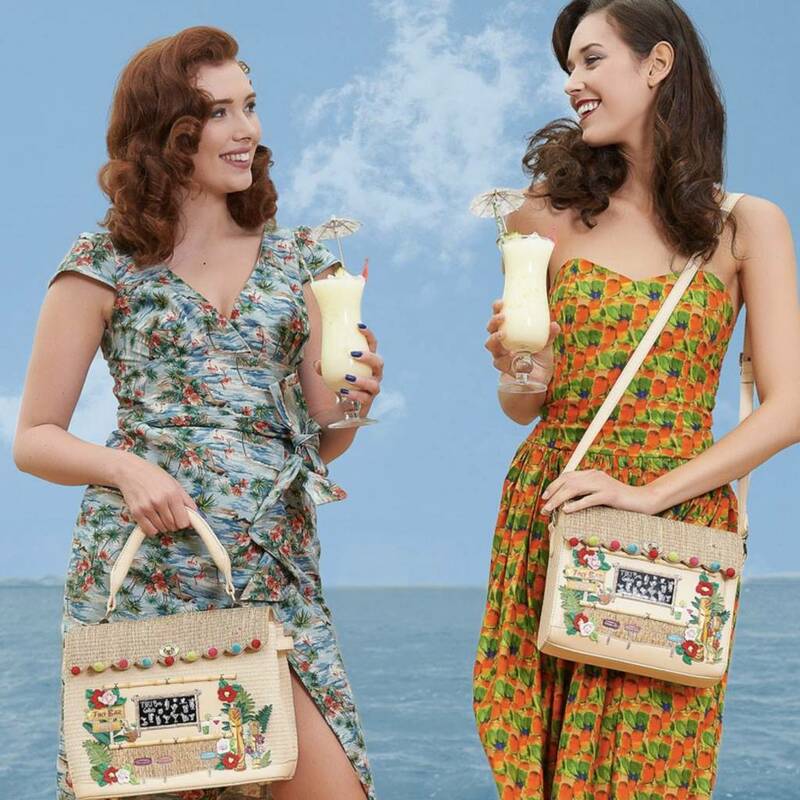 We know you are going to love the blue, green and red Tiki lantern pompoms and the hand stitched details in PU leather and cotton fabric. 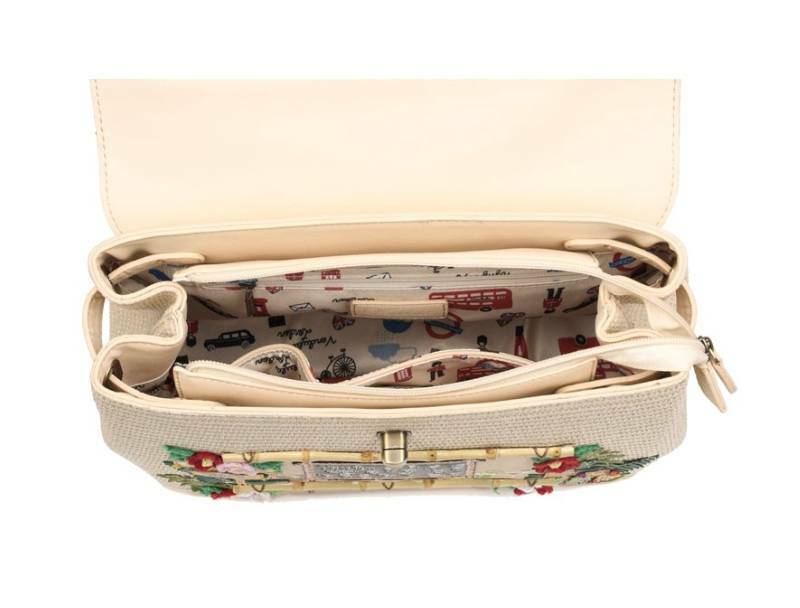 There is one main compartment with a zip closure, one inside zipped pocket, one outside zipped pocket and two inside open pockets with a detachable and adjustable vegan leather shoulder strap. 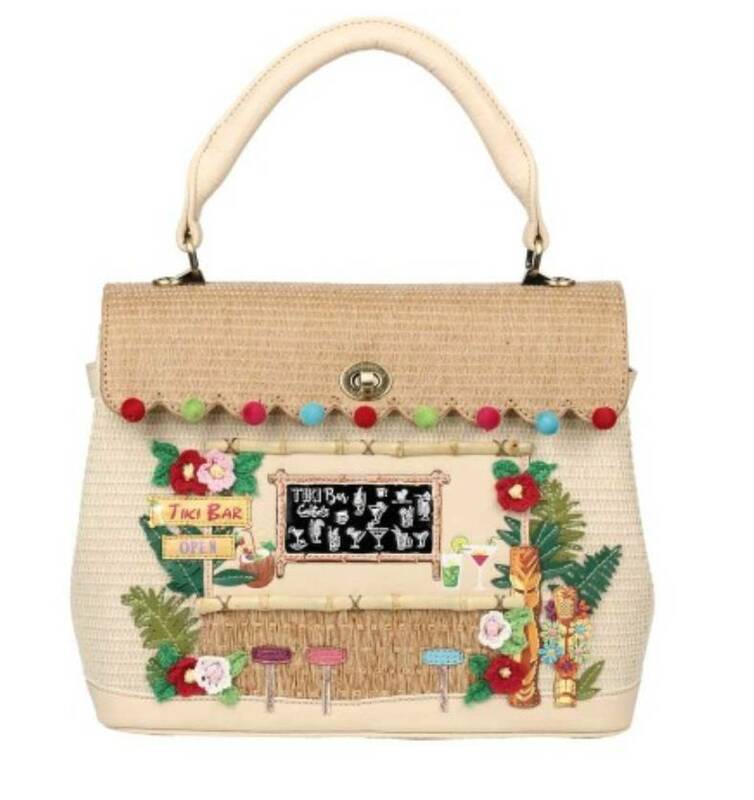 The bag is Vegan Certified by British Vegetarian Society and will have you doing the hula all this summer!